Wherein we look at ten of the weirdest and most random products to be marketed using the Beatles name and image. Long before Kiss set the gold standard in licensing their band (brand?) to death, the Beatles were the kings of merchandise. 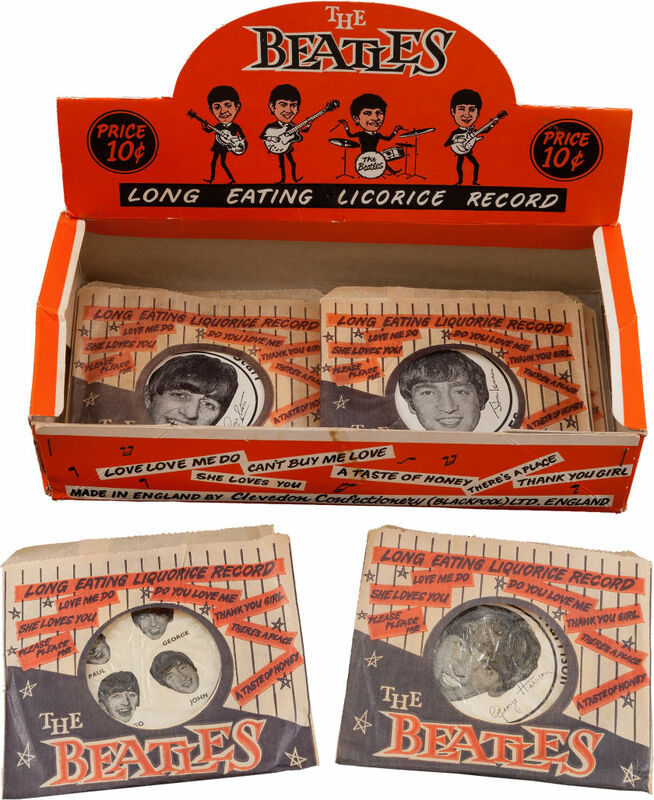 And while some Beatles products made sense — pins, wigs, lunch boxes, posters, and the like — there was some really odd stuff sold using the Fab Four’s likeness. Here are ten such items, in no particular order. How do you make a creepy plastic Ringo even more creepy? Unscrew his head and bathe in his gooey innards! You say it’s a lariat tie, I say it’s a shoelace with a pin on it. 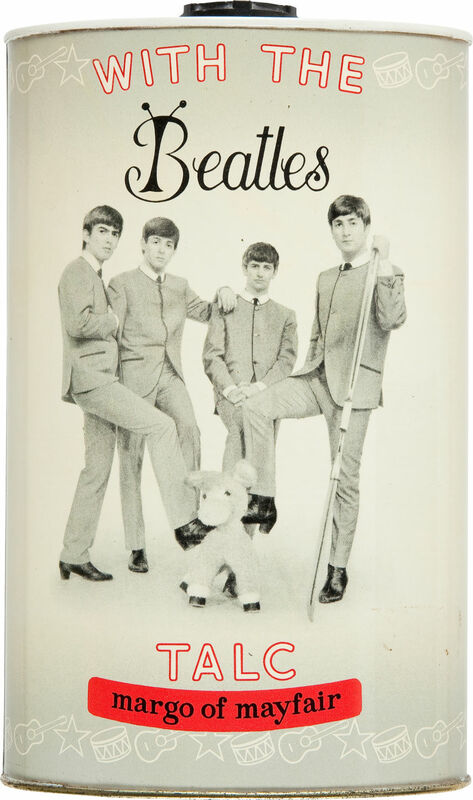 And since when were the Beatles known for wearing lariats anyway? 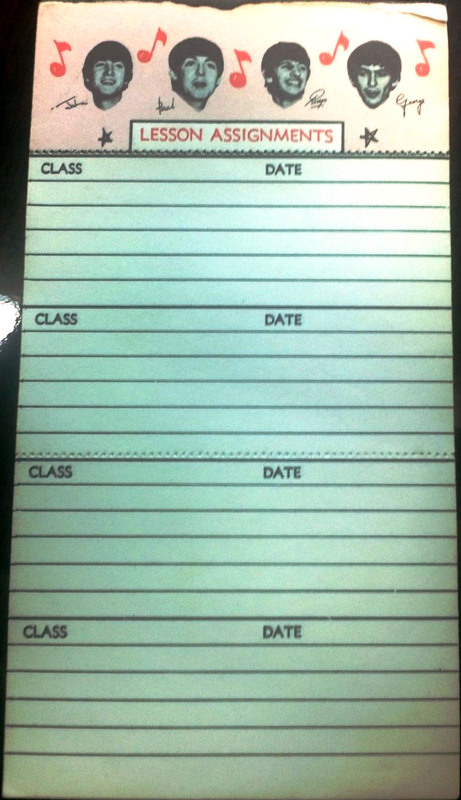 Because nothing else exemplifies the spirit of youthful rebellion like making sure all of your schoolwork is carefully and neatly documented. So this is literally just a pair of wooden sticks and a pair of propellers with the word “Beatles” on them. Only you and the Beatles know how it’s done, but no one knows what the point is. 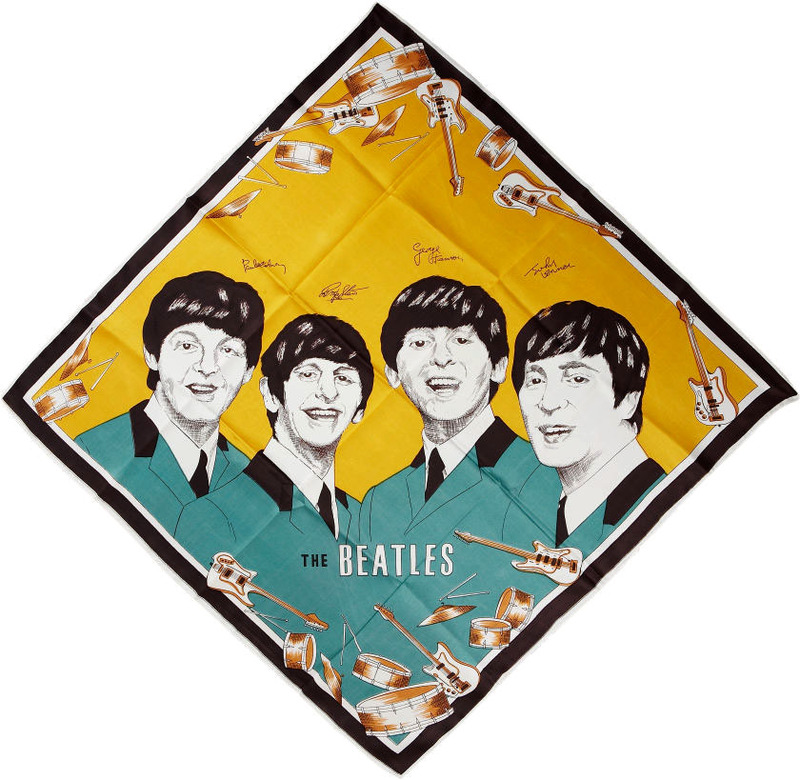 What better way to show your love of all things Beatle than to wipe your snot all over the boys’ faces? But at least you’ll have something to clutch when you leave your parents’ home. This is just so completely random that I can’t even think of a joke for it. Feel free to have at it in the comments. Bonus points for clever packaging, minus points for this being nothing more then giant wheels of licorice. Yuck. 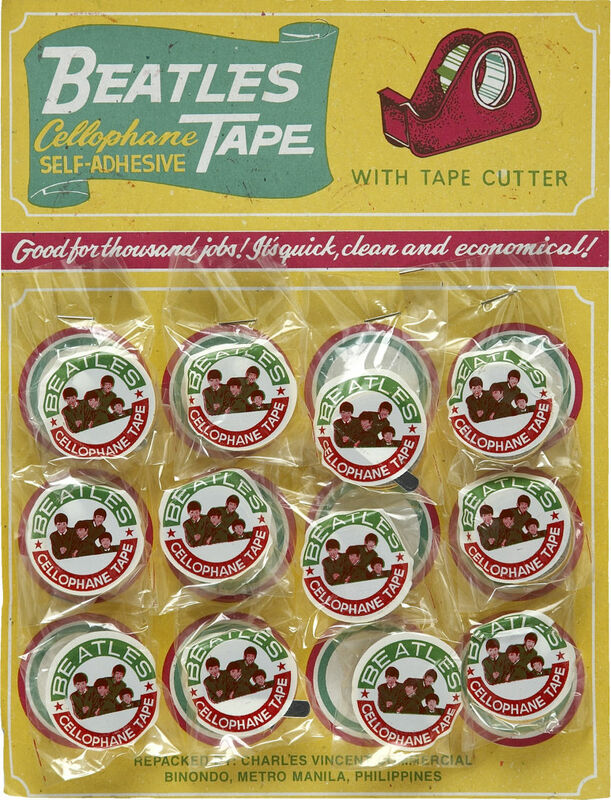 Two of the weirdest products on this list — this one and the tape — are from the Philippines. I know relatively little about that country, other than that they find very strange ways to express their fandom. Actually, I rather like these.